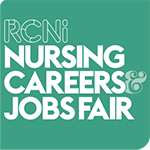 I am a registered nurse working in the role of urgent care practitioner at North West Ambulance Service NHS Trust. I spend half my time responding to patients who have called 999, attending to them at home or wherever they have become ill or injured. Once with a patient, I carry out an assessment of their needs, plan any urgent treatment they may require and, together with the patient and relatives, plan out what care is required. This may include self-care advice or a referral to a specialist department in one of our local hospitals. The other half of my role involves working in the emergency operations centre. Here I telephone patients who have called 999 and are waiting for an ambulance response. 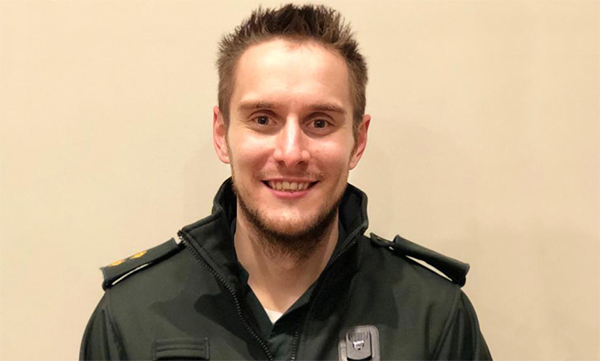 During these phone calls I conduct a telephone assessment and provide advice and support until the ambulance arrives, or in other situations, I might advise the patient that an ambulance response isn’t required and then I can refer them to alternative services or provide self-care advice. I was attracted to the chaos of the emergency department (ED) as a healthcare assistant and a student nurse, and by the time I became a registered nurse I’d caught the bug. Being an emergency nurse means you can provide support to patients when they are having potentially the worse day of their lives. Every day you’re working you have the chance to make a real difference to a complete stranger and I find that rewarding. My early years were based at Tameside NHS Foundation Trust. Here I developed from a new healthcare assistant to a senior nurse running the whole department. After this I qualified as an oil rig and off-shore medic which was the best training I have completed. Unfortunately the work was few and far between as the oil industry wasn’t great at this time. I still fancied a change, but in emergency medicine, so I started working as a forensic nurse practitioner in the police custody setting. After doing this role for some time I was ready to get back into the heart and soul of emergency medicine. I got a job working as a charge nurse at Manchester Royal Infirmary in the ED. The Manchester Royal Infirmary is an amazing place to work with brilliant doctors and nurses, every day was hard work, but rewarding. As for my current role, I saw this job advertised by accident really and thought why not give pre-hospital care a go. I enjoy conducting a holistic assessment of my patient’s needs. It’s rewarding when I attend a patient for one reason, but end up helping them with a number of different problems or concerns they have. I like having in-depth conversations with my patients and their families so we can plan the care together. I’m a sociable person so the greatest challenge for me is being a lone worker. I thrive off having other people around me and find this part of the job most difficult. I do have my audio book and CDs to play when driving to see patients which helps. What advice would you give a nurse starting out in an emergency department? The ED is sometimes a scary, busy, loud environment, but remember if it’s scary, busy and loud to us as nurses imagine how the patient feels? Be kind, learn and develop. If in doubt, ask for help and stay safe. Emergency nursing is an exciting area of nursing to be working in now. The demands on the departments are getting greater and the work load is increasing, this means that new ideas are being trialled and tested. The conventional emergency nurse role is changing and my job with the ambulance service is proof of that.